How and Why Did James Eric Fuller’s FaceBook Page Disappear? What has happened while James Eric Fuller was taken away, in Tucson Arizona, to a happier place? Now I have to ask what was so important that ‘someone‘ is taking the time to freeze/cleanse records of James Eric Fuller aka Prince Eric Fuller? Guess his usefulness is over and it probably didn’t quite work out the way ‘someone‘ expected. What are the connections? It’s there… we are so close… and the Liberal Lefty Lunatics know it! Are citizen journalists effective? Why yes… yes they are! Are they discovering and reporting the truth that the Lame Stream Media won’t? You betcha! Fuller and Jared Lee Loughner must stay healthy so we can learn the truth, the whole truth and nothing but the truth! Greg Howard alerted all Americans today of the deceptions/omissions/lack of any real investigative effort by the Lame Stream Media’s account of the Tucson Tragedy and related stories. Unfortunately these are the times of the worst state controlled news sourcing in USA history. 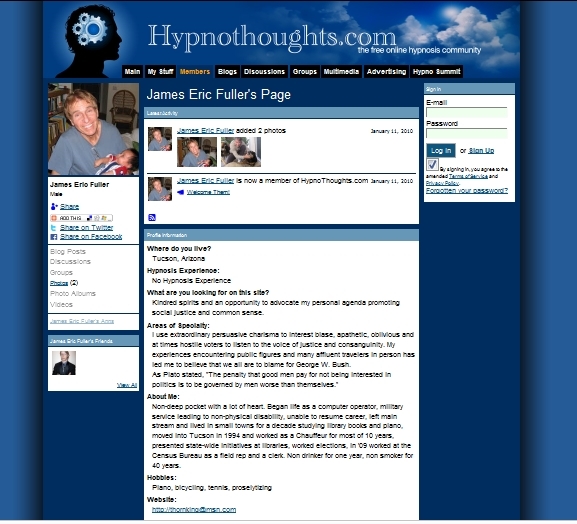 However, with Greg’s latest entry “Who Exactly Is James Eric Fuller?” on his well visited website, Americans and the world can absolutely see that the “journalists” of old are outdated and under informed in research techniques and capabilities. The Setup Has Been Initiated! What a Bogus POTUS! The human rights record of the United States was put under an international microscope, as the UN Human Rights Council issued 228 recommendations on how Washington can address violations. America has long been the self appointed global leader on human rights, pointing out the shortcomings of others. But now the tables have turned. According to the United Nations Human Rights Council, incidents of injustice are taking place on US soil. The point was made in Geneva, Switzerland at the Human Rights Council’s first comprehensive review of Washington’s record. The council released a Universal Periodic Review Tuesday, listing 228 recommendations on how the US can do better. “Close Guantanamo and secret detention centers throughout the world, punish those people who torture, disappear and execute detainees arbitrarily,” said Venezuelan delegate German Mundarain Hernan. The US has dismissed many recommendations calling them political provocations by hostile countries. Yet even America’s allies are highlighting grave flaws. France and Ireland are demanding Obama follow through on the promise to close Guantanamo Bay. Britain, Belgium and dozens of others have called on the US to abolish the death penalty. For many, it’s the ultimate hypocrisy. How can a state with roughly 3,000 people on death row lecture the world about humanity? Many say the prime example is Mumia abu Jamal, viewed by some as America’s very own political prisoner. “The United States, the perpetrator of gross human right violations is using human rights as a political football against its enemies.Its enemies are not enemies because they violate human rights necessarily, but because the US wants to change the government in their country,” said Brian Becker, Director of A.N.S.W.E.R Coalition in Washington, DC. The country often criticizing adversaries like Syria, Iran and North Korea for oppressing its citizens, is now faced with defending domestic practices like indefinite detention, poor prison conditions, and racial profiling. America is home to the world’s largest prison population, with 2.3 million people currently behind bars. Children can be sentenced to life in prison and more than 100 undocumented immigrants have died behind bars while awaiting deportation from the US. Increasing discrimination against Muslims has become another blemish on America’s human rights record. Hundreds have been arrested in so-called FBI foiled terror plots involving government paid informants accused of manufacturing and setting up the crime. It is a practice other countries term entrapment. Who has been in charge of all the dirty dealings, broken promises, and divisive rhetoric? That would be the Bogus POTUS who usurped the Presidency of these United States of America, aided by the “in the tank” Lame Stream Media! All countries are all in with the same view, hmm? Almost like it was pre-planned to create some sort of change, hmm? Iowa Lame Stream Media Can’t Handle the Truth! This radio station show should be titled a “A Lefty Liberal’s Opinionated Views Supporting Radical Political Candidates” and the call letters changed to 98.3 SOW-FM during the hours 1pm until 4pm daily. Obviously there is no background research, no real facts, nor a properly stated outline aka agenda, to warn the listeners that you might not hear anything other than a staged routine. What is interesting to notate, is that it was unbelievable to 2 Iowa men, that someone in Arkansas was interested in other states’ elections and candidates? I don’t see this radio personality going very far if he’s only aware of his immediate surroundings! I also followed up after the 11 am blog entry “Jonathan Narcisse Has Time To Trash And What About That Cash? IOWA HUGE RED FLAG!” this morning. Neither the radio personality’s program manager ever returned my call (but I was popped into the very voice mail of the radio personality and left a firm message) nor did the candidate ever answer his phone… again (so very accessible, NOT!). So as the radio show progressed today, I called in and spoke with the aforementioned personality. Somehow I managed to get through on the phone lines “during his break”. The conversation never made it to the air. No big surprise! Truth is not important! But to the daily listener and on the regular call in telephone number at (515) 312-0983, it was just after 1:20pm and for 8m 50s mark I was in holding mode and talk mode. After his “break” cycle ended at approximately 1:34pm, he went back live on air and stated to the effect that he had been on his entire break “talking with a birther”. One more story that doesn’t detail the truth. Again no big surprise! When today’s broadcast is downloaded and made available make sure you listen to the first hour… it will once again validate what I am addressing. No one could make this stuff up. Hang in there though, it can take them several days to get around to downloading it! Tomorrow, you should really call in, and ask the radio personality about the big Bert and Ernie news today, he’s up to speed on this inane bit of social evolution. But since he doesn’t live on Sesame Street, I don’t really know that he has a valid view point to offer or where his concern would originate? One question that I had asked in my earlier blog today was answered though, while I was researching. The candidate’s spending now has been addressed via The Iowa Republican… and oh my… “I Thought Narcisse was a Third Party Candidate? I Must Be An Idiot” so the day wasn’t a total loss! Why couldn’t the Bogus POTUS just have sent good wishes privately to the Chilean President? Because he’s a media whore! That’s why! And since Jerry Brown’s campaign workers can now use ‘that word’ that NOW supports, by endorsing him and BOGUS POTUS originally, it’s all good. I mean NOW knows that word intimately and embraces it! But remember they do not speak for all or real women! And on the same day he commands the BOGUS FLOTUS out on tour for the other left-leaning liberal loonies, who can’t stand behind their BOGUS Leader’s Decrees, because there’s nothing tangible to tout. Hey just a little tip on formal and informal situations and friendship circles there Skippy (aka BOGUS POTUS)… if I don’t care for one’s politics, race-baiting, lies, traitorous activities… I sure don’t want to see the spouse or vice-versa. I stand on principles, where the BOGUS POTUS and BOGUS FLOTUS have none. You are both pariahs and predators upon these United States of America. Lipigas is a Chilean company of liquified gas that has created this advertisement including a black dog who represents President Obama. The mixed-breed dog in the advertisement is the “face” of the company. Jonathan Narcisse Building a Party for Himself or Iowa? Is Jonathan Narcisse Building a Party for Himself or Iowa? 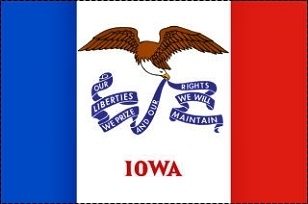 What is the Iowa Party Platform? Is there anyone in Iowa who knows the answer besides Mr. Narcisse? How can Iowans get a clear understanding of a candidate that is not transparent, is touting a platform without details, and using a form of Main Stream Media that he controls? Do you know where and how your political donations are being used? Sell the message and the messenger, repeat until it’s absorbed by the masses, all engineered via the Alinsky gravy train. hmm? As of Today’s figures and at this moment, Christine is at 92% – $ 1,845,575 of her $ 2,000,000 goal. Christine Counters as the MSM couldn’t get a fact straight and is a useless tool for the current administration. What has become transparent is that the repetition of Christine’s financial dilemma has exposed a normal and typical American’s struggles during the current administration economic failures. This only confirms that Liberal snobbery is afoot in Washington, DC and the assistance of the lap dog MSM continues. This year’s Progressive memo must contain “drop the race card and attack conservative women“. As a citizen of the United States of America, are you experiencing the same type of economic hardship as Christine O’Donnell has or are you enjoying endless vacations, here and abroad, with weekly over the top parties, and a $200 t-shirt like the First Lady? By the way, has anyone checked the 2010 Federal Poverty Level that won’t be updated by the Federal Government until 2011? hmm? But then community organizers are really ready to take advantage of Record Poverty Level: ‘Long Slog Ahead’ for Poor Americans? I wonder what they want in return? *Hat tip phrase to JoAnne. observation to Hubby.